In 1692, Edmond Halley, of Halley’s Comet fame, first discovered that the Earth’s geomagnetic field drifted westward. He concluded that Earth must have two cores spinning at different speeds, but no one knew why. 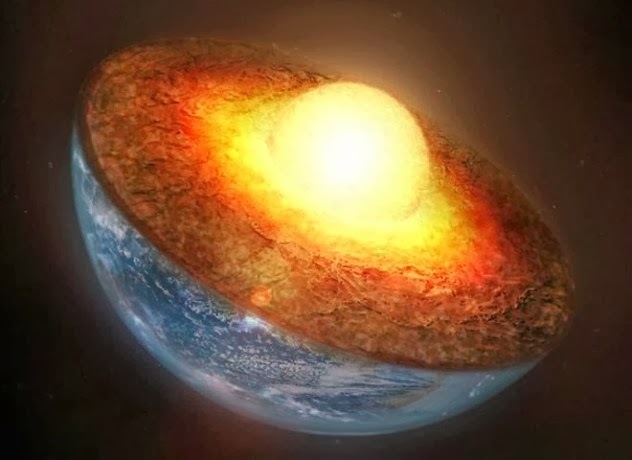 Science later realized that the Earth’s inner core of solid iron (about the size of the moon) spins eastward, but the outer core of liquid iron rotates in the opposite direction—but at a slower pace. The relationship between the two remained a mystery, however. This year, scientists at Leeds University were able to use a supercomputer to simulate this relationship 100 times more accurately than ever before. They found the difference can be explained in terms of equal and opposite action (Newton’s Third Law of Motion). The magnetic field pushes one way on the outer core and the opposite way on the inner core, causing the differing rotations. Helicoprion is a bizarre species of sharklike fish with a distinctive spiral jaw. 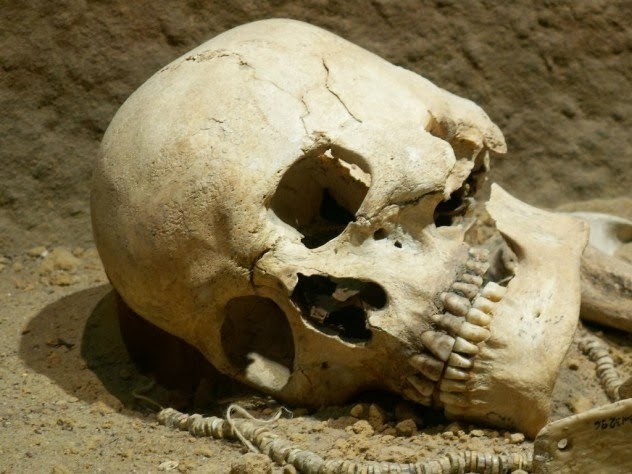 Fossils were first discovered in 1899, but the only part of it that fossilized was the strange spiral jaw. Since then, scientists have made numerous guesses at where this swirl of razor-sharp teeth belonged on the body of the creature, ranging from its top jaw, bottom jaw, tail, to pretty much anywhere you can think of. 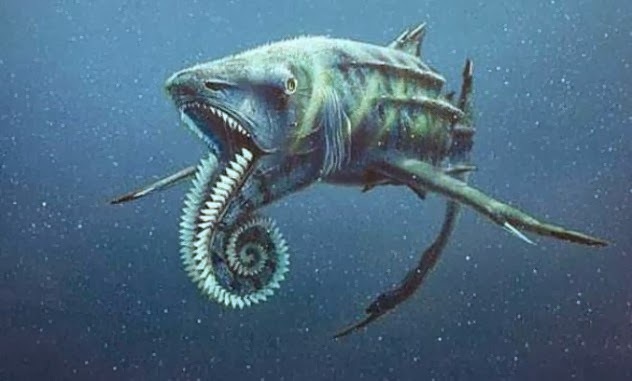 If you do an image search for “helicoprion,” almost all of the pictures you’ll find depict the spiral of teeth curling downwards from the bottom jaw, like a circular saw. Scientists have now been able to use an X-Ray CT scanner to take high-resolution images of Helicoprion fossils and produce a 3-D model of its skull. They’ve found that it would have been located entirely inside the mouth, acting as a “tooth factory” at the back of the lower jaw and wouldn’t stick out. While the mystery is now solved, 100 years of speculation has left us with plenty of illustrations of what could have been one of nature’s most comical creations. 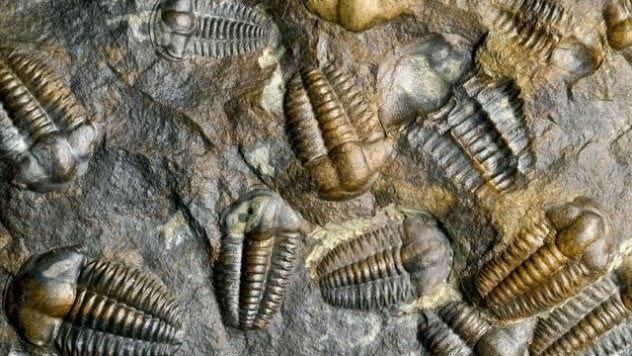 Darwin’s Dilemma, the mystery of the Cambrian Explosion, refers to a period of time during which a diverse range of animals suddenly appear in the fossil record around 500 million years ago. Darwin described it as “inexplicable,” but held onto hope that future scientists would figure it out. Cerataspis monstrosa was the name given to a species of crustacean discovered 180 years ago. It’s only ever been found as larvae in the guts of fish that have eaten it. No adult version was ever identified, leaving scientists understandably curious. Once again, DNA analysis has been the key to unlocking this mystery. Professor Keith Crandall at George Washington University did a DNA analysis of the creature, dubbed “monster larva” due to its unusual appearance. He found that it’s actually the larval form of what we thought was an entirely different species, Plesiopenaeus armatus. 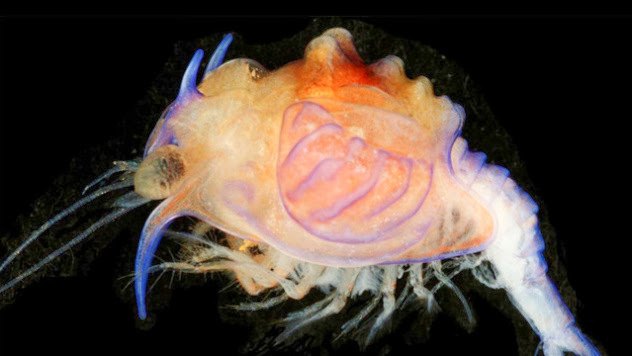 Scientists missed the connection because the adult form, a deep-water shrimp, looks completely different from its younger self. Specimens were also hard to come by because it lives deep in the Atlantic. Professor Crandall put his ability to solve this nearly 200-year-old mystery down to a combination of luck in finding the right specimens and new techniques that have been developed in the last 10 years. Jean-Baptiste Lamarck was one of the earliest scientists to study corals in the 19th century. One of the mysteries that has endured since then is why some of them pulsate. This movement, in which their flowerlike heads open and close, requires a lot of energy, so there must be a good reason for it. In jellyfish, the only other creature that pulsates in the same way, it’s used for movement and catching prey, but corals do neither of those things. Scientists using infrared cameras found that the corals pulsate 95 percent of the time, resting only for about half an hour in the afternoon. By using a special imaging device that allowed researchers to see the movement of water down to individual particles, scientists discovered that the movement stops waste water from building up around the corals. 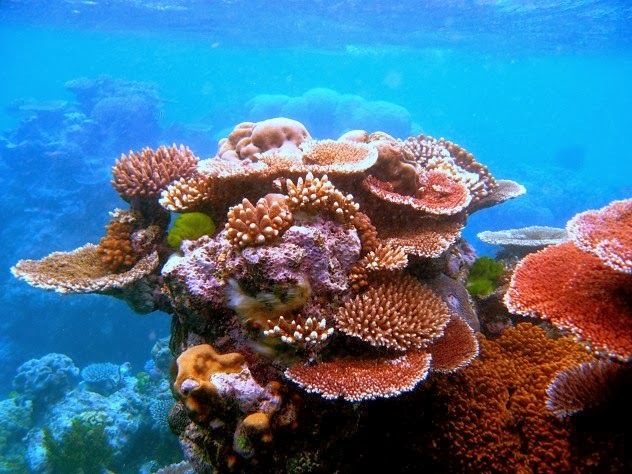 They also found that the oxygen levels in the water around corals were kept low by the movement, increasing the efficiency of photosynthesis in algae that the corals use for food. 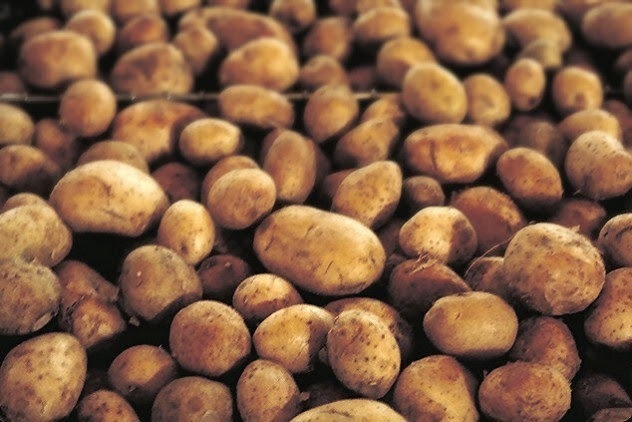 The Irish potato famine devastated the country in 1845, killing 750,000 people and forcing two million more to leave their homeland. Yet the strain of fungus responsible for blighting the crop remained unidentified until this year. Scientists thought it was a strain known as US-1, but a recent analysis has shown it to be a distinct fungus that separated decades earlier and has since gone extinct. Scientists were able to analyze DNA fragments from dried plants that were between 120–170 years old. They hope the research will improve knowledge of how plant pathogens emerge, which could ultimately help fight crop blights in the future. Do Women Blush In The Dark? “The question whether young women blush in the dark is a very difficult one,” wrote 18th-century German scholar Georg Lictenberg. While it seems a trivial question, it was also impossible to answer. In the dark, no one can see the blushing. Turn on the light, and it’s no longer dark. Charles Darwin (for the third time on this list) even offered up a comment on the problem (he reckoned women probably could blush in the dark). Technology has come to humanity’s aid in providing an answer. Researchers from Germany and the Netherlands collaborated on an experiment in which they pointed a heat-sensitive camera at a woman in a dark room and asked her to blush. When she claimed to be blushing (they picked someone who could do it at will), there was more heat coming from her cheeks, showing that blood had rushed to the surface. So it turns out that women can blush in the dark. Keep smashing those boundaries, science! 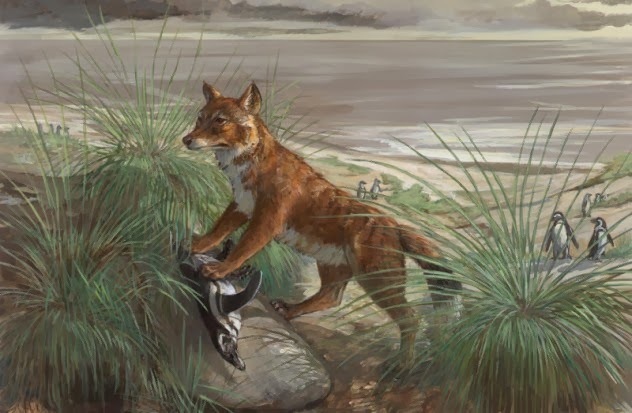 The Falkland Islands wolf, hunted to extinction in 1876, was the only mammal living on the Falkland Islands when they were discovered by explorers in the 17th century. They were amazingly tame and earned a species name meaning “stupid dog of the south.” Its presence on the islands confused naturalists, including Charles Darwin, who wondered how it ended up being the only land mammal so far from the mainland. A study published in Nature has solved this mystery. Scientists previously believed the wolf diverged from its mainland relatives around 330,000 years ago. Analyzing DNA from an extinct relative has now shown it only diverged around 16,000 years ago, a glacial period when an ice bridge to the islands from Argentina could easily have existed. Roger Williams was the founder of Rhode Island, and during the last years of his life, he filled the margins of a book, An Essay Towards the Reconciling of Differences Among Christians, with a series of notes on various subjects. Unfortunately, he invented his own set of symbols that no one understood, so the 300-year-old text couldn’t be deciphered by anyone. 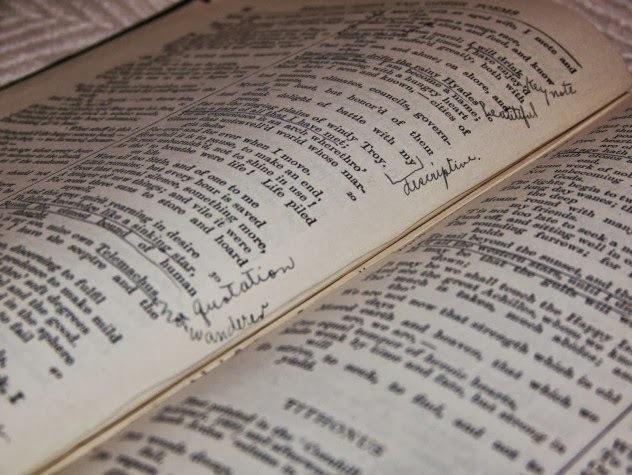 Struggling faculty members opened up the challenge of decoding the book to students. A group of undergraduates, led by a math major, undertook a systematic analysis of the symbols. Initial statistical analysis was unsuccessful, but one of the students figured out that Williams had based his codes on the shorthand he’d learned as a court stenographer in England. This new insight led to a full decoding of the writing, which apparently covers historical geography, medicine, and infant baptism. The Susquehannocks were a Native American tribe who were given a very bad reputation by European settlers. Depicted as brutal cannibals, the Susequehannocks were accused of the massacre of their neighbors, the Shenks Ferry people. April Beisaw, an anthropologist at Vassar College, thought the tribe might have had an unfair reputation for the last few hundred years, so she decided to check if any massacre actually happened. With the help of two undergraduates, she set out to examine as much evidence as was available. After studying over 2,000 artifacts from the area and records at several museums, she discovered no evidence that violence of any kind occurred between the two tribes. The legend probably served as useful ammunition for settlers who actually did slaughter members of the Susquehannock tribe. She hopes her work will help “rewrite history” for the natives.